A platform—also referred to as an author platform or a media platform—is an established media forum through which an author connects to his or her audience. Like a physical platform can be "a stage for public speaking," a media platform gives an author a kind of pulpit from which to address—and promote books to—a ready-made potential readership. Like a diving platform, it can springboard a book into the marketplace and create sales momentum at publication. Whether the author brings viewers through a TV show or readers through a popular blog, authors with a large platform of one kind or another are appealing to publishers. An author with an established audience assures that booksellers will take notice of the book, that the book will likely get media attention (audience feeds more audience), and that there are likely fans who will immediately buy the book—all good for the publishing business. For that reason, literary agents, book editors, and publishers look at the size of an author's platform when considering a prospective author's manuscript or proposal. How big should an author platform be? Whether we're talking followers or fans or viewers, tens of thousands is okay; hundreds of thousands are better, and with a platform that gets millions of eyeballs, a book deal is a slam-dunk. A Popular Blog - Large readership is key for a publisher to take notice. Molly Wizenberg's popular food blog, Orangette, was a platform that helped her sell her first book, A Homemade Life, to a publisher because she had a large readership. Before her book sales gained her recognition, best-selling author Amanda Hocking used her blog to connect with paranormal romance readers, which nurtured their interest in her self-published novels. Speaking Engagements - Speaking engagements are great platforms because the audience is usually there specifically to hear the speaker/author or to learn about the specific topic and so there is usually a high book-to-audience member sales ratio. Radio Show - Popular radio hosts can sell lots of books. Podcast - With the market increase in audiobooks, podcasts have become quite popular and a number of podcasts have been turned into books. Web Series - how-to, comedic, dramatic or anything else imaginable—some of these attain millions of followers. Social Media – Twitter, Instagram, Facebook, Pinterest—followers numbering in the six- and seven-digits get publishers' attention. 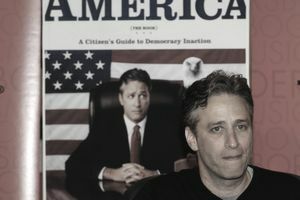 Television Show - the Holy Grail of platforms is a popular TV show: Jon Stewart's platform, The Daily Show, no doubt helped make a bestseller. Duck Dynasty spawned a whole assortment of TV-tie-in books and sales of Mindy Kaling's memoirs are no doubt helped by her sitcom's audience first on television, now on the streaming service Hulu.com. Even having a regular guest spot on a television show—such a doing a consumer spot during a news broadcast—raises an author's profile and boosts his or her platform. Books spawned by TV shows don't have to be "personal"—following the lead of The Sopranos Italian cookbook, Blue Bloods, the CBS show about a family of New York City cops, is launched a cookbook based on the fact that each episode features a Sunday dinner scene with the family. Interestingly, the book being published helps to increase the author platform by giving him or her the opportunity to present the book and him/herself in a variety of media. What Are Trade Books in Publishing? Literary Agent Wisdom From Curtis Brown LTD.